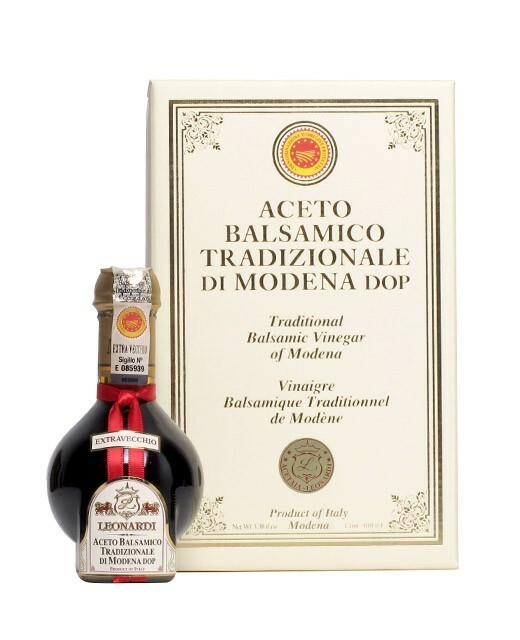 Traditional Balsamic Vinegar of Modena is undoubtedly the most delicate seasoning. To obtain such a result, home Leonardi observe all the rules imposed by tradition and the secrets that have been transmitted through four generations, such as roof ventilation, which will achieve the required temperature ranges and batteries composed of 9, 12 or 15 barrels that are arranged in descending order of volume and which are produced using precious woods (oak, chestnut, cherry, ash, mulberry, locust and juniper) that are distinguished by their inimitable flavors and fragrances. For even more control over the final product quality, Leonardi’s House grows and selects, using trusted collaborators, the grapes used in the manufacture of the traditional balsamic vinegar of Modena. Despite all the care taken in manufacturing the traditional balsamic vinegar of Modena, the term traditional only becomes effective once the traditional balsamic vinegar of Modena has been tasted by the Board of the Consortium of producers of traditional balsamic vinegar of Modena. Indeed, the Consortium conducts regular inspections of all the supply chain, ensuring that the product complies with the organoleptic characteristics that made it famous. 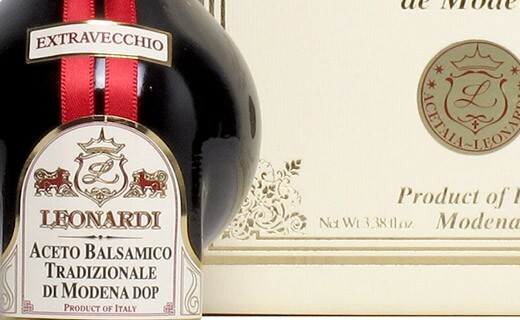 It is only then that the selected traditional balsamic vinegar of Modena may be bottled in small bottles of 10cl signed by Giugiaro, displaying a numbered seal and logo guardianship of the consortium. Comment : In order for a traditionnal balsamic vinegar of Modena to be called Old, it must have aged in barrels for at least 25 years according to the Consortium specifications. However, the Leonardi House has decided to extend the aging to a minimum of 30 years, rising above the expectations of the Consortium. This is how dedicated the Leonardi House is to produce the best traditional balsamic vinegar of Modena in the world. Arrange the prosciutto (Parma or San Daniele), cut into thin slices on a platter, add the traditional balsamic vinegar of Modena 30 years of age, Parmesan and arugula. Form a roll and let it in the refrigerator a few hours, then cut into slices and serve as appetizers.